Deep, heartfelt emotions aren’t something we get to see every day. But I felt a ton of happy and precious emotions during Jessie and Orry’s wedding day. I already tear up at little things but their whole day was full of joyous, happy tears and heartfelt love. The way Orry looked at Jessie, you would have thought she was the only person in the room, so to speak. And that alone is one of my favorite things when it comes to the wedding day. The day be was held at LinRan Farms in Sumter, South Carolina. I’ve photographed this location prior and it’s a beautiful venue. Its simplicity is what I enjoy most about this property. It doesn’t need much to be transformed into a beautiful backdrop for a wedding. 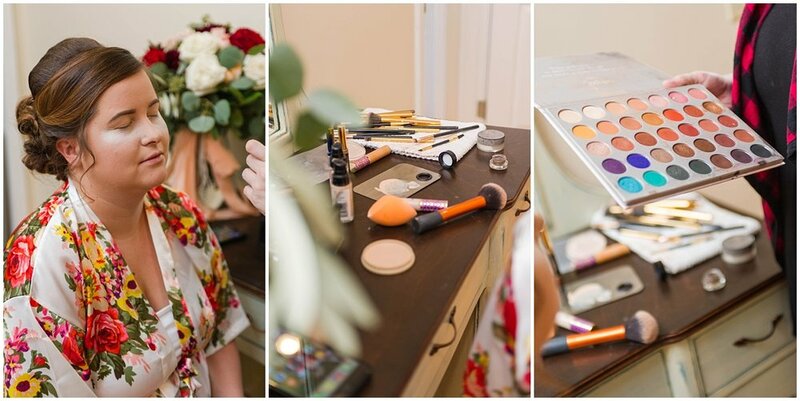 Jessie, her bridesmaids and the hair and makeup artists were busy primping in the bridal suite when we arrived. Hairspray, hair pins, make up brushes and eye palettes littered the counter tops. The hair and make up was so precise and perfect. The girls laughed and chatted all while getting ready. You could feel the fun in the atmosphere that was soon to take place after the ceremony commenced and the reception began. The ceremony was held on the front lawn of the property, under a beautiful arbor covered in the most gorgeous florals designed by Helen with Garden House Floral Studio. 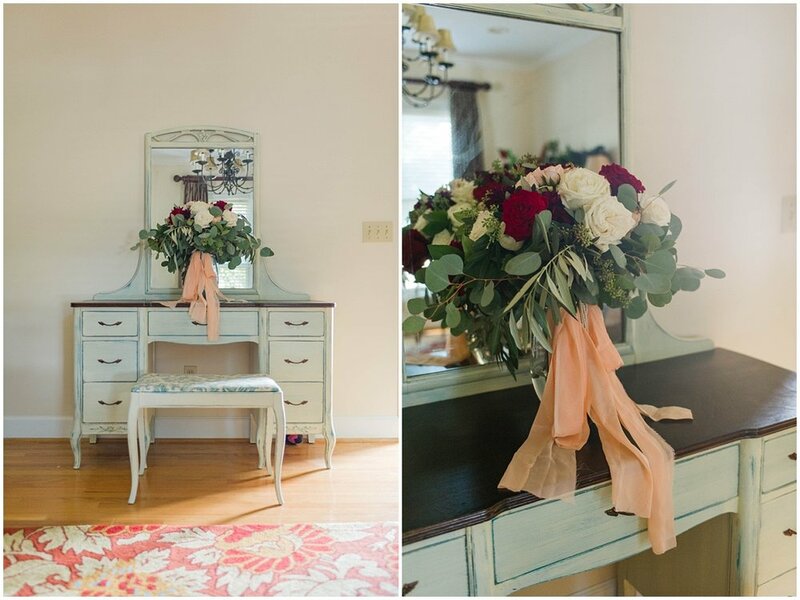 (Check out the rest of her floral genius throughout the day down below!) Jessie’s daddy walked both her and Harper down the aisle, and the best part of every ceremony I photograph is the groom’s expression while his bride approaches the altar. During the ceremony, Jessie and Orry’s precious baby girl, Harper, stayed by her momma and daddy’s side, literally on Jessie’s hip the whole ceremony. It was so sweet. I don’t think it could have been more perfect for Harper to be in the middle of Jessie and Orry exchanging vows. 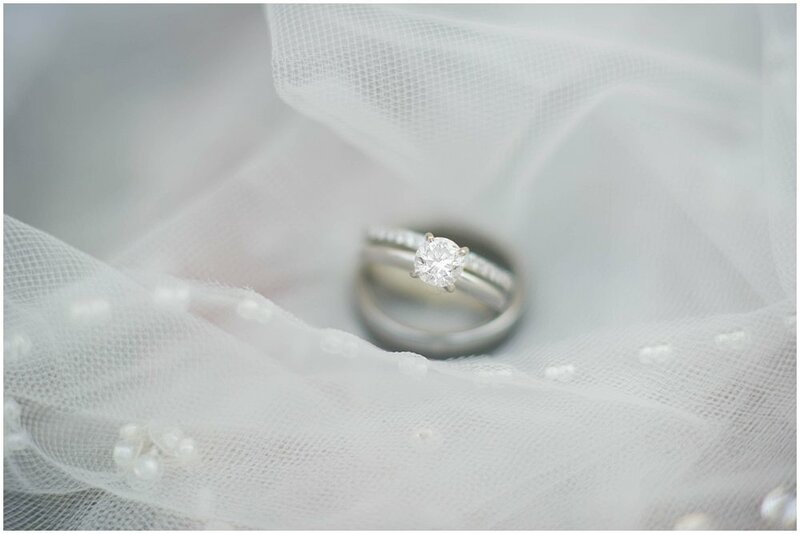 The three shared this moment in exchanging rings, and listened to Dylan Avins perform Ed Sheeran’s “Perfect” while they tied a three cord knot. After being announced husband and wife, we were able to photograph the whole bridal party, and that is always the most fun and silly entertainment from the day. The whole lot of family and friends were buzzing with excitement; we probably had too many laughs during these minutes prior to the reception, but that’s okay because that is, after all, what this whole day is about. FUN! The reception was a blast! Jessie, Orry and Harper shared their first dance, Jessie danced with her daddy and Orry shared a dance with his mom. I enjoy the first dances; they’re intimate and special, especially for the groom’s mom and bride’s dad. I always wonder what they are saying to each other, especially when I start to see tears. As the night progressed, delicious cake was cut, champagne was popped, lots of dancing, and the traditional garter and bouquet toss. So much dancing and even a few bits of karaoke took place throughout the evening! Tad and Lyndy Graham of Graham Entertainment kept the party rocking and rolling all evening without skipping a beat. The dance floor stayed full of guests! The night ended with Jessie and Orry running through bubbles blown by their guests amongst their guests, while they made their way to the infamous white Chevy that we used for Jessie’s bridal portraits. It was the perfect ending to a perfect day. 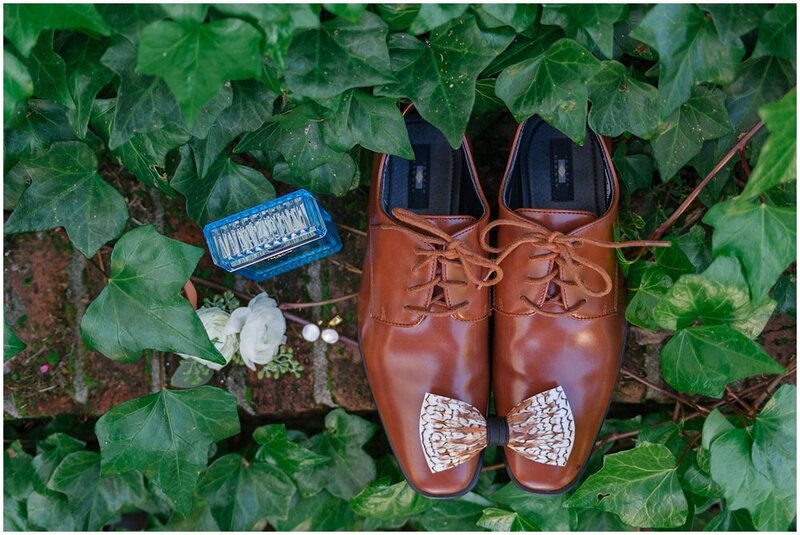 Check out Jessie and Orry’s gorgeous wedding day below and leave a few sweet words for these newlyweds! This gorgeous sapphire and diamond tennis bracelet was a gift to Jessie from her father. 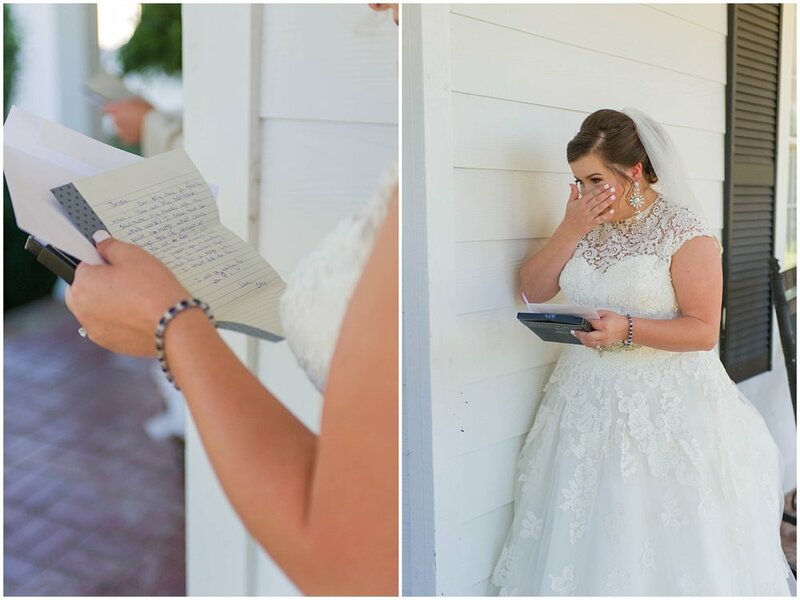 I love the exchange of letters, pre-ceremony, especially if the couple isn’t doing a first look. When Harper made her way to the venue, and saw her momma for the first time, she kept saying, “momma, I like your dress” in the most precious voice you can imagine.